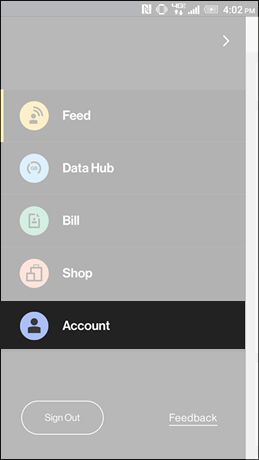 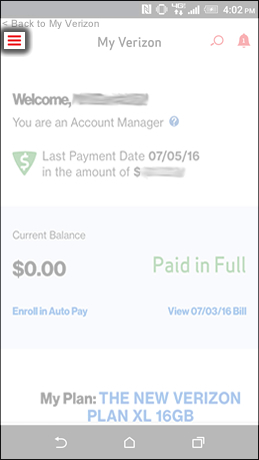 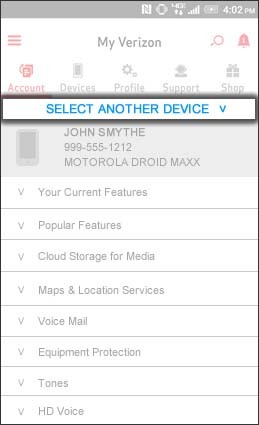 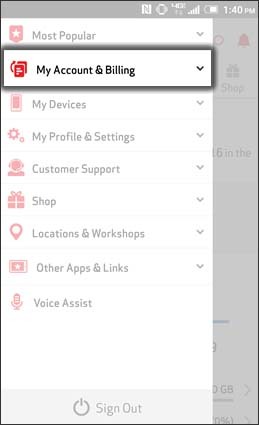 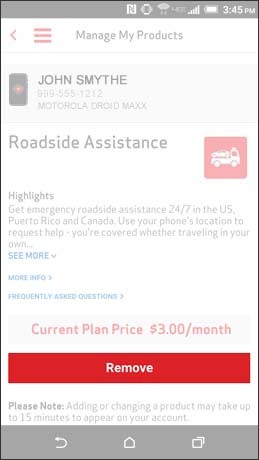 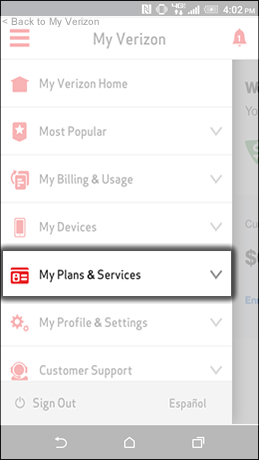 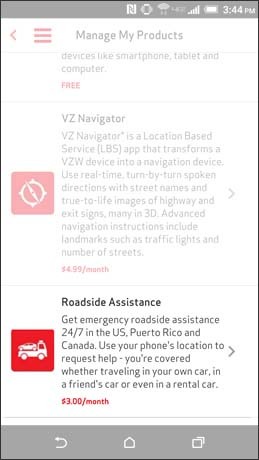 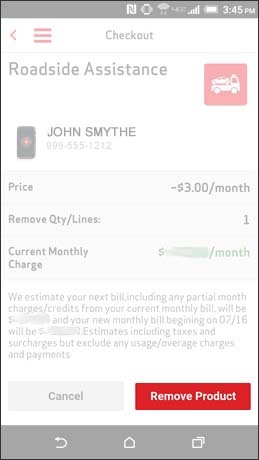 While in the My Verizon app tap the Menu icon (located in the upper-left). 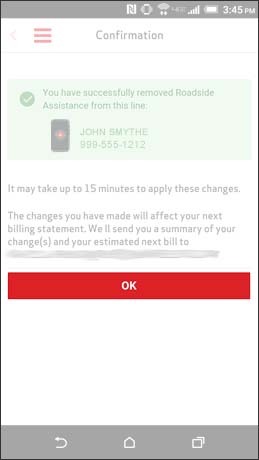 Instructions vary depending on your pricing plan. 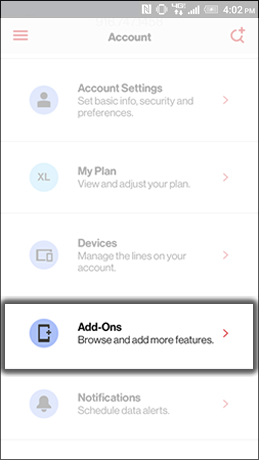 If these steps differ from what you see on your device, refer to the Verizon Plan process. 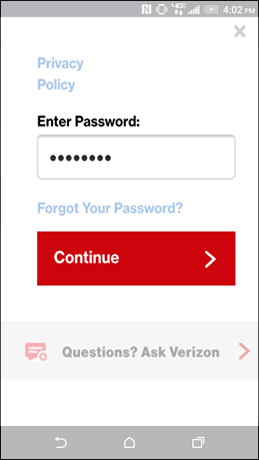 If prompted, enter the appropriate 10-digit phone number and the My Verizon password then tap Sign in. 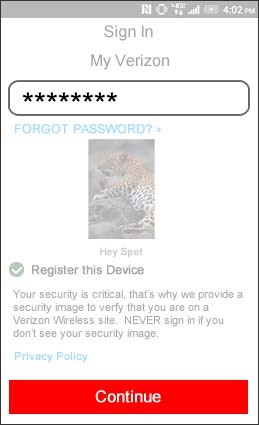 If prompted, enter the My Verizon Password then tap Continue. 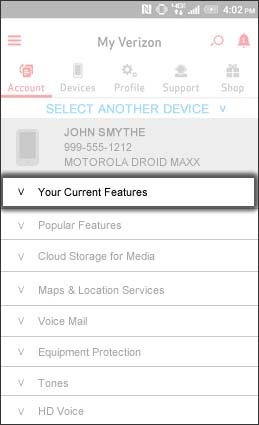 If necessary, tap Select Another Device then tap the appropriate phone number. 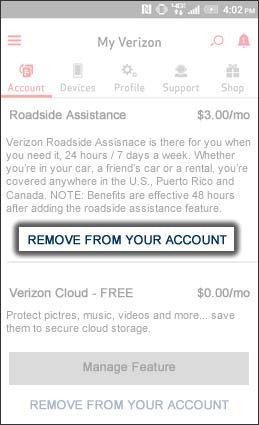 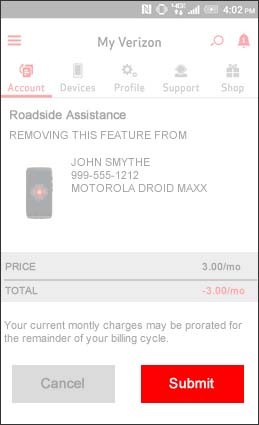 Under the Roadside Assistance section tap Remove from Your Account. 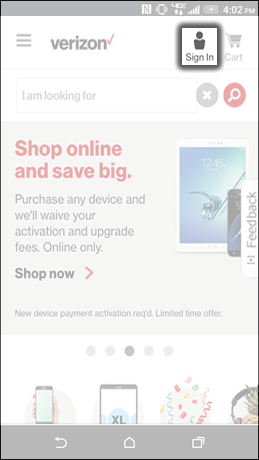 Review the price changes then tap Submit. 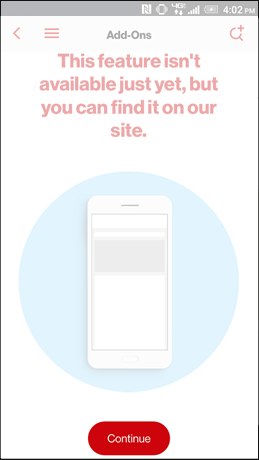 Tap Sign In (located in the upper-right). 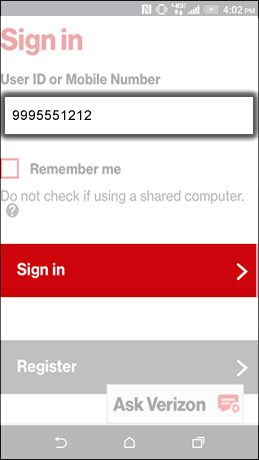 Enter the 10-digit mobile phone number then tap Sign in. 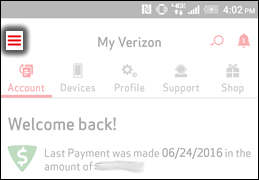 Enter the My Verizon password then tap Continue. 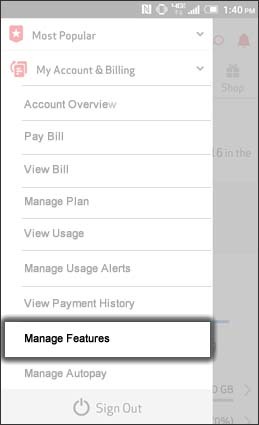 Tap My Plans & Services. 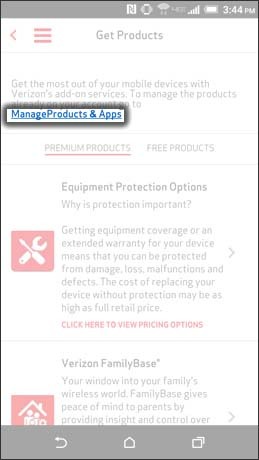 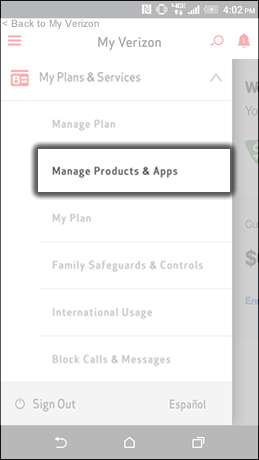 Tap Manage Products & Apps.